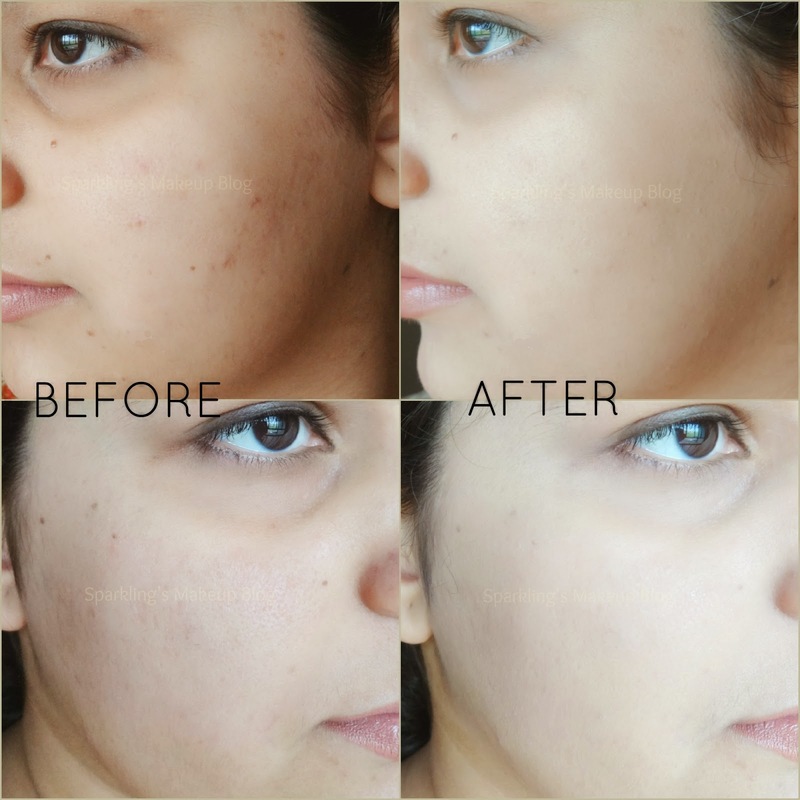 BB creams are a blessing for us who wants a fool-proof natural look for daily use. Is Garnier BB cream Miracle skin perfector to be trusted for its high claims and promises? To Reveal More Read More!!! Combination and Oily skin types face a number of specific concerns, such as shine, large pores, uneven skin tone, and visible imperfections and marks. It can be hard to find just one product that can address all these complexion concerns at once. B.B. Cream (Beauty Balm Cream) is an all -in-one formula that offers advanced skincare + immediate skin perfecting coverage. Miracle Skin Perfector BB Cream for Combination to Oily Skin immediately mattifies, minimizes pores and conceals imperfections to give skin a naturally smooth, matte, flawless finish. Blends easily with your skin tone. A new innovation for combination to oily skin types with a hybrid formula that offers instant perfection and all-day shine control in one single beauty product.This oil-free skin care formula combines mattifying Mineral Pigments with ultra oil-absorbing Perlite to deliver an immediate complexion transformation. Gently apply 15 minutes prior to sun exposure. For best sun protection reapply at least every 2 hours. After cleansing and treating with your favorite Garnier skin care products, apply your BB cream to moisturize and protect, while controlling shine and minimizing the appearance of pores. The Garnier BB cream comes in a box packing, with all those pictures, promises and required info details. The product is a long good-plastic squeezable tube. The color of tube is beige and the cap is white. Contains 40ml and will survive for year. Packaging was not sealed. 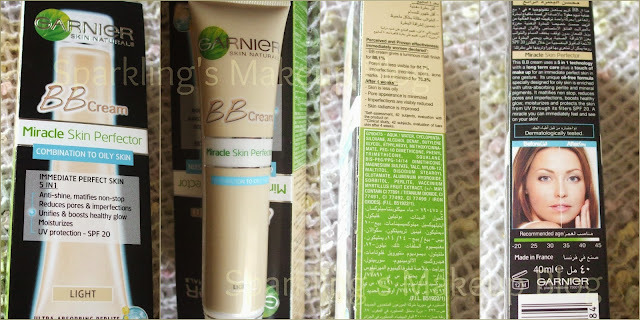 On face Garnier BB cream is applied without any prep and prime. 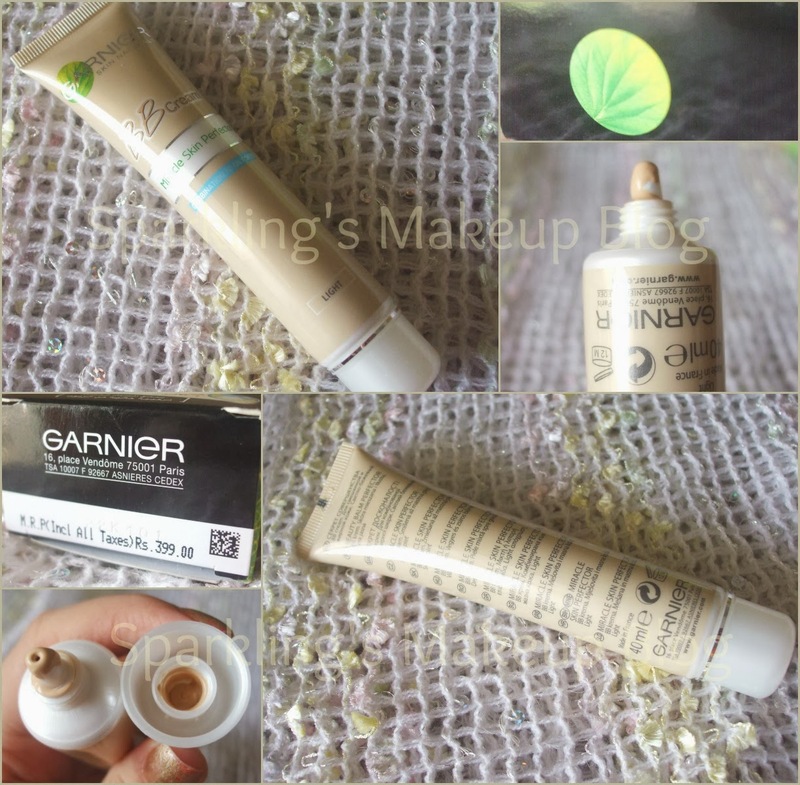 To tell you the truth I was a bit, rather quite, skeptical over trying out Garnier BB cream... Reason being the swatches: even it is named "Light" but the swatches looked far too dark and yellow in pictures. 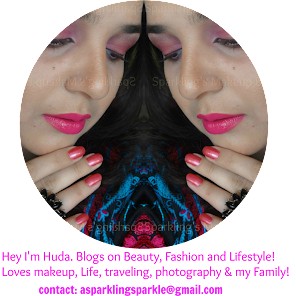 But the "Curious Huda" insisted me to spend that reasonable amount of money and try this out for my Summer Combination skin, with oily-est T-zone and uneven cheeks. The above face application pictures are from my first use, so you can understand that this did not fail to impress me from the very first use. Yes it won my heart! I am not a regular makeup wearing person, but as I no longer have my clean glowy teen-age skin, so I need a bit coverage with all that natural look. 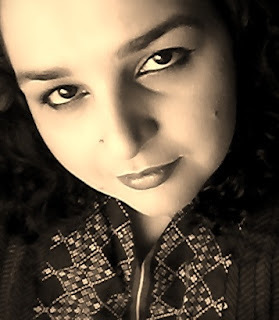 With my killer-Combination skin I am totally an anti-foundation person in Summers. BB creams are considered good for light coverage, but most of them are not for oily/combo skin. Thanks to Garnier for bring a "miracle" for us. This is surely a miracle, as I have been using it all Summers. 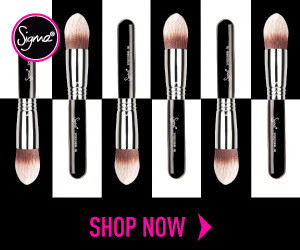 No mess of oiliness, shine, smearing, melting, cake-y-ness, and breakouts, 100%. It suited me so well. The consistensy is very thin almost running/watery, but pigmentation is great, a little goes a long way. It looked so natural. The swatch seems dark but once blended Voila! it looks so natural on me. No yellow or white cast at all. Giving a good coverage with a luminous matte finish. You can see yourself how it covered, almost hide, the red scars on my left cheek and gave an even complexion. I am in love with this. I wore it without any tension on many formal and casual routine functions all Summers. I applied it along my Summer-trusted primer Avon Magix and set it with Essence Translucent Loose powder. The price is like the cherry on the top, its so reasonably affordable. Now it is Winters, and right now while typing this post, I am wearing it over my well moisturized face and it is as good as ever. This is a must pick! 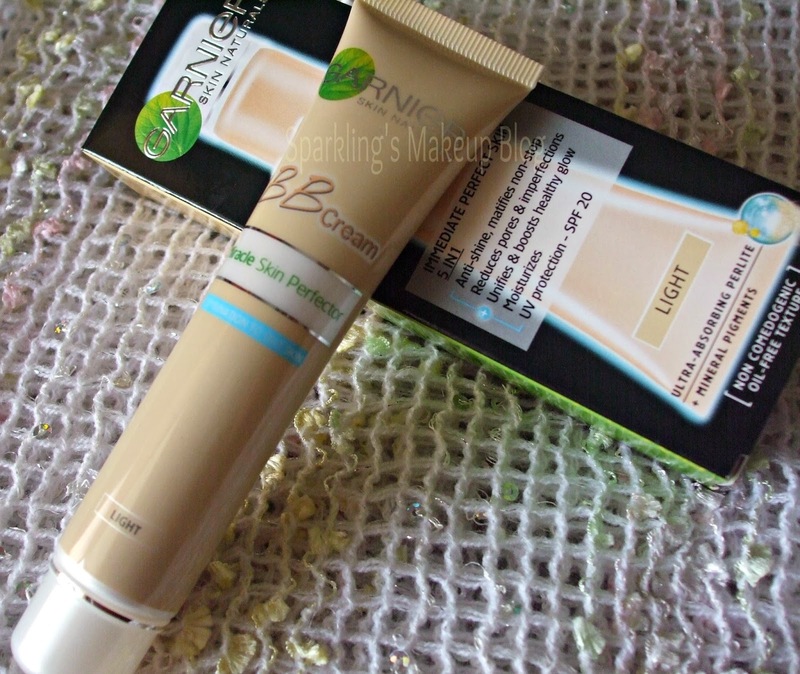 Finally I have a BB cream Trusted for Summers, and even best for Winters. Used in a simple makeup look here. 5/5. No choice as its a LOVE for Summers...finally! I bought mine for Pkr 399/- from AL-Fatah. Available on all cosmetics stores having Garnier. Online check at Just4Girls. Join Garnier Pakistan on Facebook. 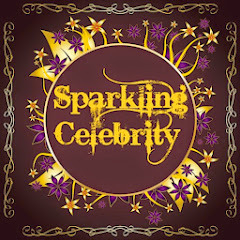 Do follow Sparkling's Makeup Blog on Blog Lovin and INSTAGRAM now. 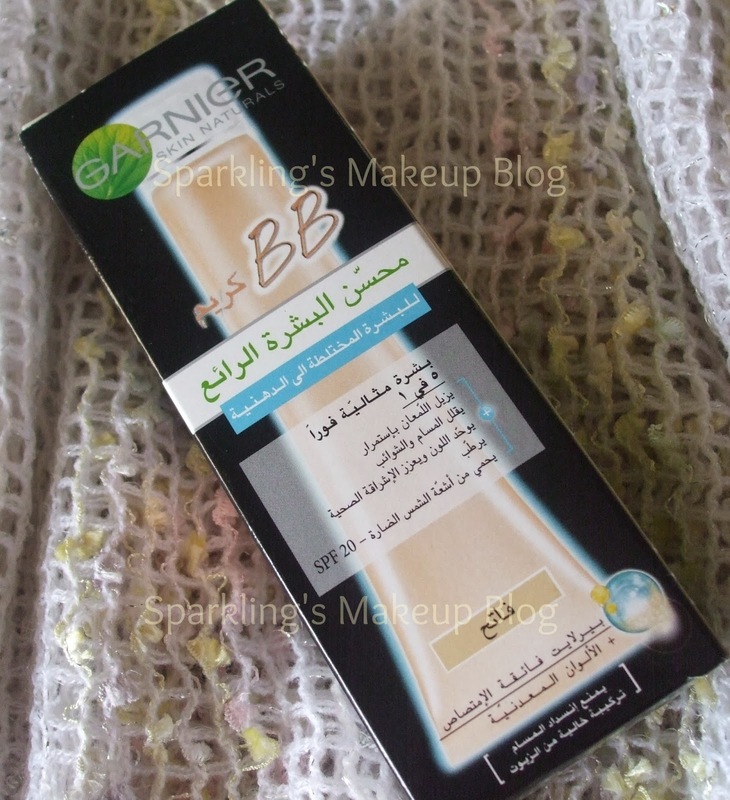 Have you used Garnier BB cream yet??? my mom loves it as she has normal skin.I love it for daily use but not formals.Great review. Like Nida said, i have heard mix reviews about this so didn't ever try this , but i must say am impressed with your review... and am definitely goin to get this whenever i go out for shopping the next tym...the coverage is great... thanks for sharing. Oh just to be sure i picked the ryt one...this one is made in france rite??? Thank you dear, do check for your skin type they have a variant too. Yes its Made in France. I really love mixing this in with my other foundations that are too deep, its the perfect brightener! Looks really good on your skin, I have never tried it.